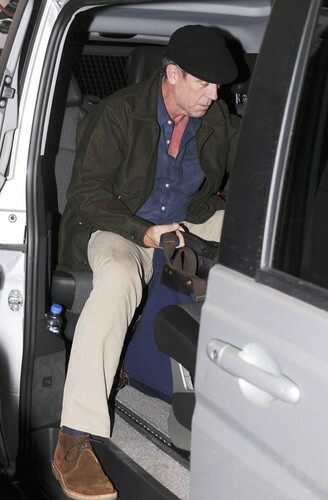 Hugh Laurie Arrive in Buenos Aires - 06.06.2012. Hugh Laurie Arrive in Buenos Aires - 06.06.2012. HD Wallpaper and background images in the Hugh Laurie club tagged: hugh laurie concert 2012 appearence public let them talk. This Hugh Laurie photo contains automobile, car, auto, suv, and truck. There might also be minivan, sport utility, sport utility vehicle,'s u v , and suv.